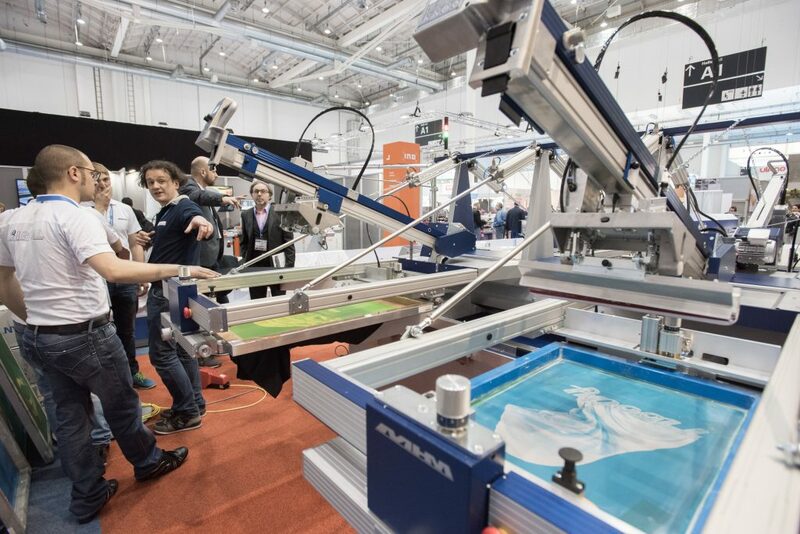 When it comes to trade fairs in the printing sector, FESPA is unmissable for sneak previews of products, technologies and ideas that will soon arrive on the market. And when Canon, a few days before the event, described FESPA 2017 as the most important ever, the trip became even more essential. FESPA 2017, the largest trade fair in Europe for firms that focus on screen printing, digital printing and fabric printing, was held on 8-12 May in Hamburg, filling ten whole halls of the famous (and by no means small) Hamburg Messe. FESPA is organised by the federation of the same name, established in 1962 and made up of 37 national printing associations, which runs the most important conferences and events in the sector. And Canon wasn’t the only company to grasp the importance of this trade fair. Indeed, over 100 companies from the printing sector attended, including the biggest names in the industry: HP, Fujifilm, Canon, Agfa, EFI and Ricoh. What’s more, over 20 companies chose FESPA 2017 as a platform to launch new products and technologies. Printing with water-based ink on rigid materials is an area that featured a lot of developments recently, and we saw some interesting breakthroughs in this field at FESPA 2017. Generally, inks used for printing onto rigid materials require strong adhesive properties, and so using water-based inks poses a definite challenge. But what difference does this technology make? Visually, materials printed using this technique give the impression of having a sort of glaze on top of the material. When you get closer, you also notice another difference, this time in terms of their smell: this form of printing has less of a whiff than UV printing. And, last but not least, it is more environmentally friendly too. One company offering interesting new developments in this field is Durst, a firm based in Alto Adige in northern Italy, which presented a new piece of machinery and an updated version of a previous printer, under the key words “innovation and sustainability“. New features include the option of printing on plastics like polypropylene for the first time, and improved print quality. Of the many startups exhibiting at FESPA 2017, we’d like to tell you about just one: NoeCha. NoeCha is a highly innovative start-up based in Bergamo, which specialises in producing large format printers. In Hamburg it presented its showpiece, an extremely high-quality industrial printer. UV LED technology is at the heart of the machine, and it can also be used to print onto rigid materials with photographic quality and a high level of productivity. What struck us was the way these features could be used to design new products featuring images with an extraordinary visual impact. The Itema Group, a multinational with headquarters in Bergamo, clearly believes in the potential of the startup, since at the beginning of May it invested in some of NoeCha’s shares. 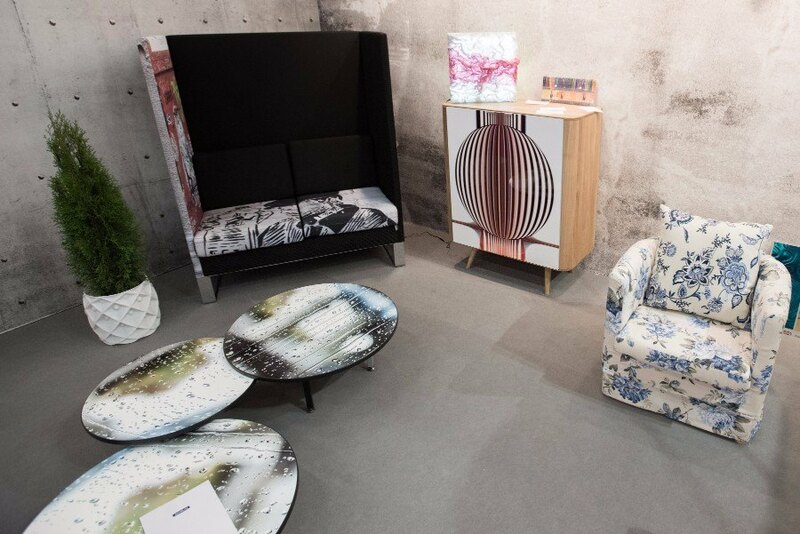 Printing for interior design, a new sector expected to grow rapidly in the coming years, was also discussed at FESPA 2017. Interior design is actually one of the printing industry’s most creative and colourful sectors, offering practically infinite options and market applications. Ideas are therefore crucial, especially new and good ones. With this in mind, FESPA 2017 decided to dedicate an entire half-day conference, entitled ‘Printeriors’, to the subject. This provided an opportunity to show the public the full range of possibilities printing offers, from more traditional concepts to the most innovative ideas, in the fields of interior decor, furnishings and doors and windows. To conclude this roundup, and while we wait for FESPA 2018, scheduled to be held in Berlin, we’ll leave you with this video, in which the organisers ask some of the 20,456 visitors in attendance (from 139 different countries) to share their opinion on FESPA 2017.